Scene on Radio is a podcast that tells stories exploring human experience and American society. Produced and hosted by John Biewen, Scene on Radio comes from the Center for Documentary Studies at Duke University (CDS) and is distributed by PRX. 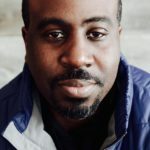 Seasons 1 and 2 featured a mix of stand-alone episodes as well as multi-episode series, including the Peabody-nominated Seeing White series with collaborator Chenjerai Kumanyika that explored the history and deconstructed the meaning of whiteness. In Season 3, Biewen and co-host Celeste Headlee took a similar approach with MEN, delving into how we got sexism/patriarchy/misogyny and what we can do about it. Stay tuned for Season 4, and in the meanwhile find Seeing White back at the top of your podcast feed as we rebroadcast the acclaimed series. John Biewen’s radio work has taken him to forty American states and to Europe, Japan, and India. 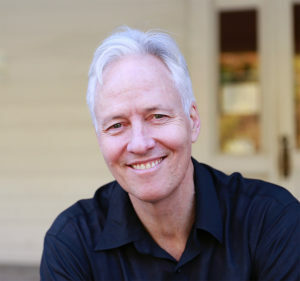 He has produced for the NPR newsmagazines, This American Life, Studio 360, American RadioWorks, and the BBC World Service. He is audio program director at the Center for Documentary Studies, where, in addition to producing Scene on Radio, he teaches audio courses to undergraduate, graduate, and continuing education students. With co-editor Alexa Dilworth, he edited the book, Reality Radio: Telling True Stories in Sound, now in its second edition. Chenjerai Kumanyika, collaborator on the Seeing White series, is a researcher, journalist, and artist who works as an assistant professor in Rutgers University’s Department of Journalism and Media Studies. His research and teaching focus on the intersections of social justice and emerging media in the cultural and creative industries. Kumanyika is the co-executive producer and co-host of UnCivil, Gimlet Media’s podcast on the Civil War. He has also been a contributor to Transom, VICE, and NPR’s Code Switch and Invisibilia podcasts and All Things Considered, and he is a news analyst for Rising Up Radio with Sonali Kolhatkar. Celeste Headlee is a radio journalist who has appeared on NPR, PBS World, PRI, CNN, BBC, and other international networks. 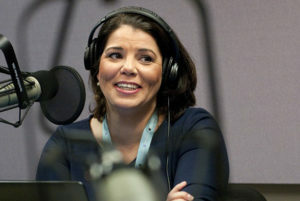 She has hosted the daily talk show On Second Thought for Georgia Public Broadcasting and at National Public Radio has anchored shows including Tell Me More, Talk of the Nation, All Things Considered, and Weekend Edition. Headlee’s book We Need to Talk: How to Have Conversations That Matter, was named one of NPR’s Best Books of 2017; she is now working on her second book and speaks to groups around the world on the art of conversation, journalism, and more.